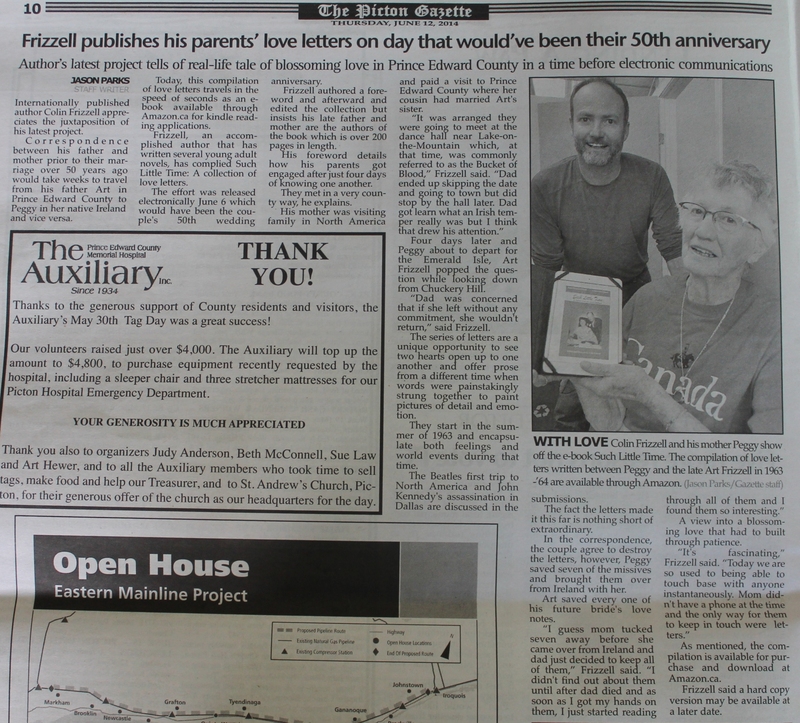 Mom and Dad’s love letters cross the ocean once more with, ‘Such Little Time: A Collection of Love Letters’, getting written up in both hometown papers: The Picton Gazette and the Newtownabbey Times. To read the full article from in Times click here. 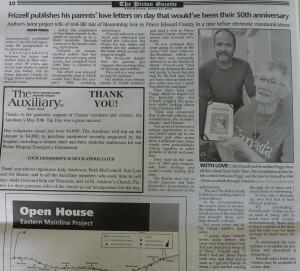 To read the full Gazette article click and zoom in on accompanying photo.